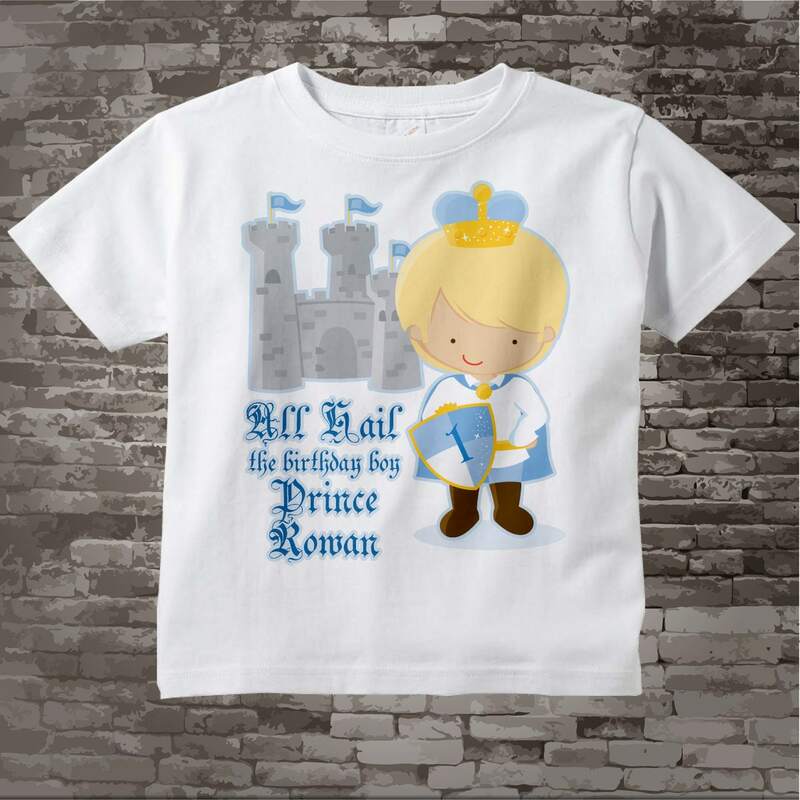 This cute tee shirt or Gerber Onesie with cute birthday Prince can be personalized with your child's name and age. 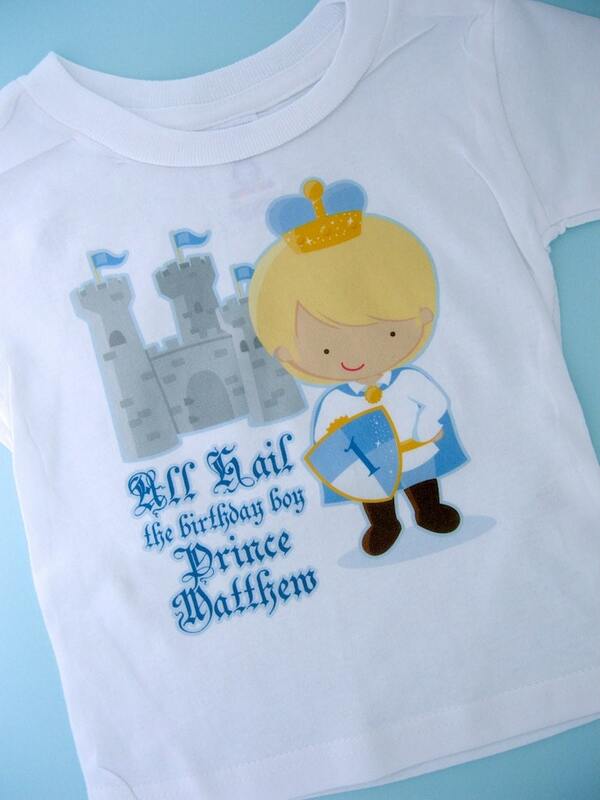 This one says "All Hail the Birthday Boy Prince Matthew" But your child's name will be substituted for this one. There is also a 1 on the shield signifying the child's age. This will be whatever age you wish. I loved everything' about this iteam. It fit him a little snug but it's beautiful. For his party. Thank you.